It’s a beautiful, sunny day here in St. John’s, Newfoundland. There is a real feel of spring in the air and if you’re not out in it already, you should GO! If you’re on of those people who requires a destination for an excursion, may I suggest that you swing by the March of Mugs (on until 6pm today) at Alexis Templeton Studio (GPS: 47.573920 -52.697531)? We went on Friday and I really should have blogged about it then, but I simply forgot, until this morning. It’s the last day for the sale, although Alexis’ Studio is open year-round and there’s always something incredible to be found inside. 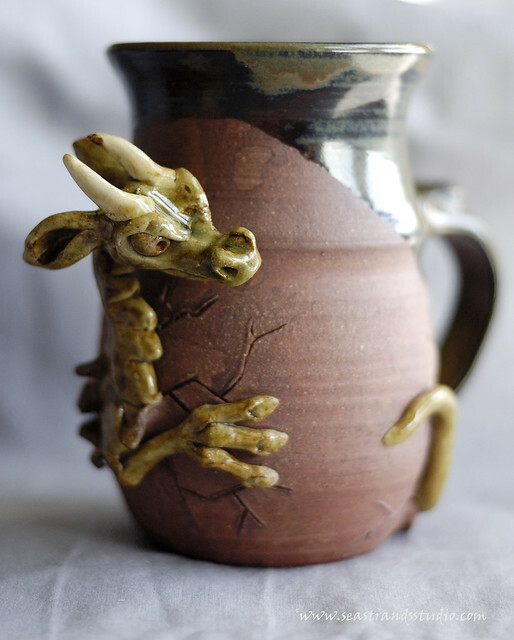 … and a very cool piece from Greenwood Pottery (she has a blog, too! Great reading!) that is the perfect hue (although there was a veritable rainbow from which to choose, should you be a yellow or red or orange person) and fits exactly into two hands wrapped around a mug. The handle is a flange that rests on the top of a hand and the base is ever-s0-stable. I think it will make an ideal studio mug. So get out of the house! Go! It’s the last day of the March Mug Madness! Everyone needs a special mug now and then! Head to 75 Quidi Vidi Road, near Belbin’s Grocery, St. John’s, NL. 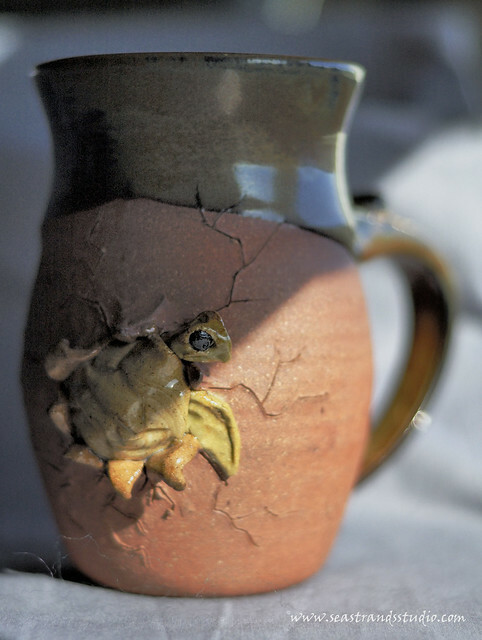 Many potters tend to make mugs in the winter. 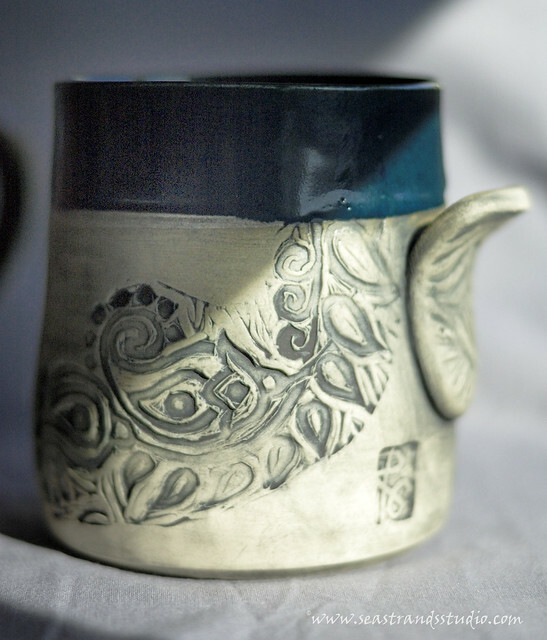 Maybe because it is a quiet time of year to let the clay dry slowly and get the handles just right or maybe because winter is the best time of year to enjoy a hot drink in a handmade mug. Did I mention that she also sells gourmet chocolate?